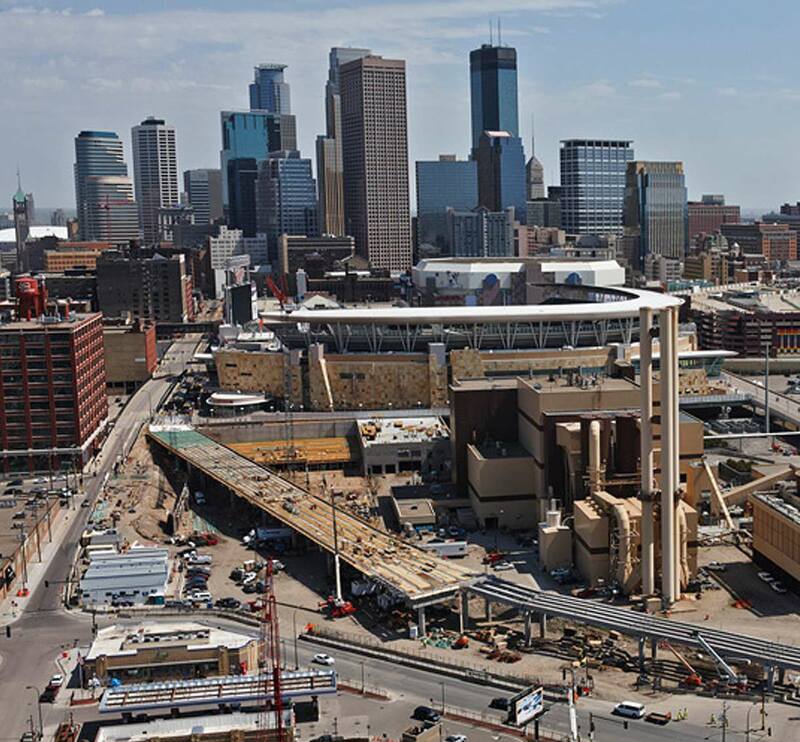 TKDA was a member of the Design-Build team for the Target Field Station. 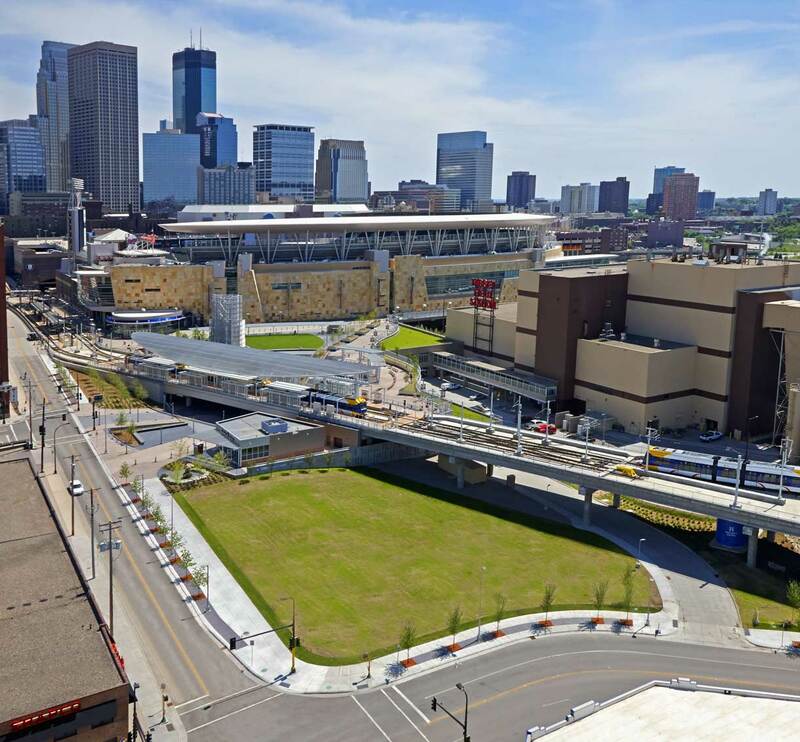 This multi-dimensional transportation project is located adjacent to Target Field on the west edge of Downtown Minneapolis. 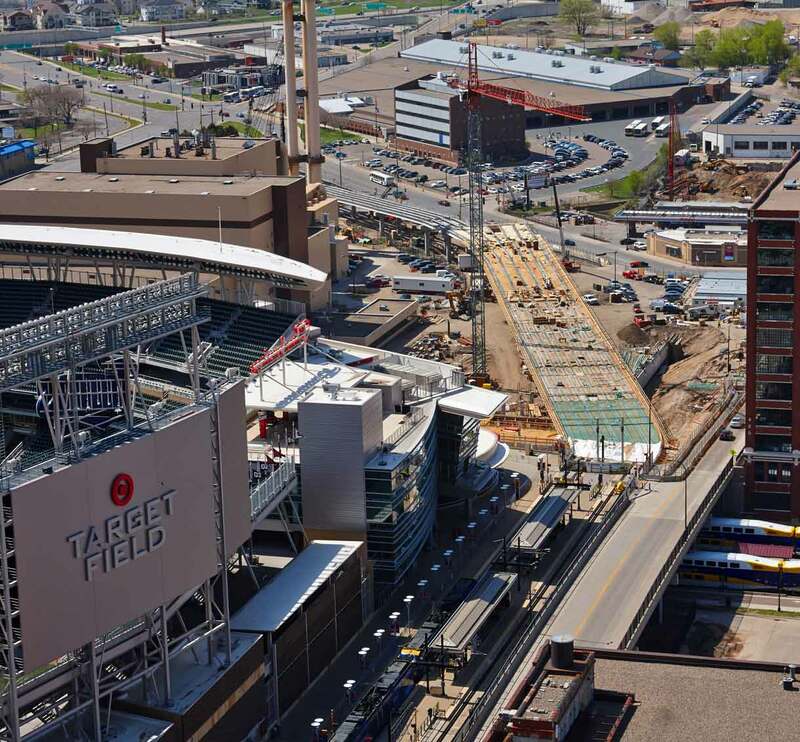 The project expands the regional transportation system with transit connections to Target Field and the North Loop neighborhood of Minneapolis. 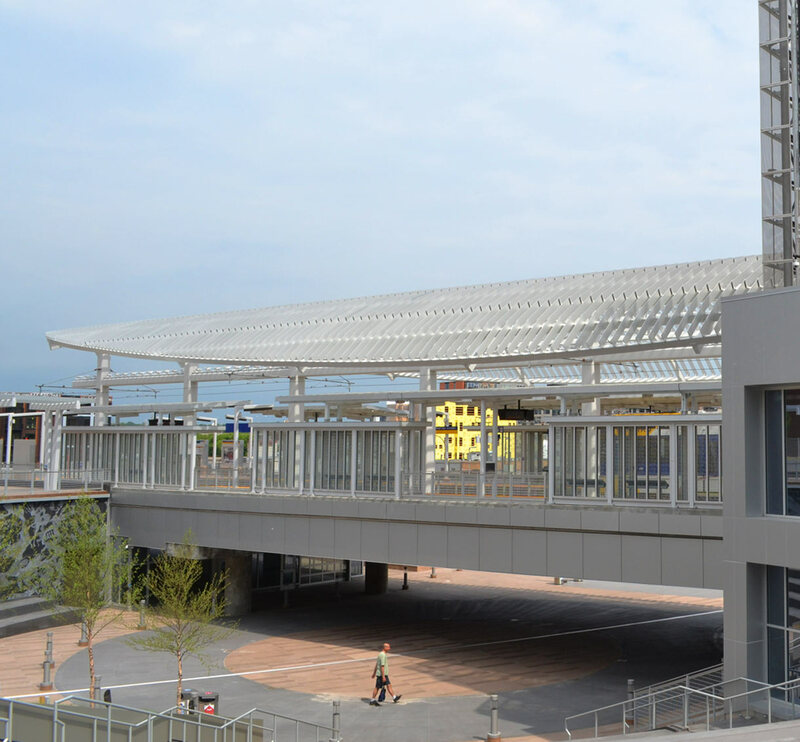 It also provides a year-round public plaza and park with open green space, iconic design elements and underground parking. 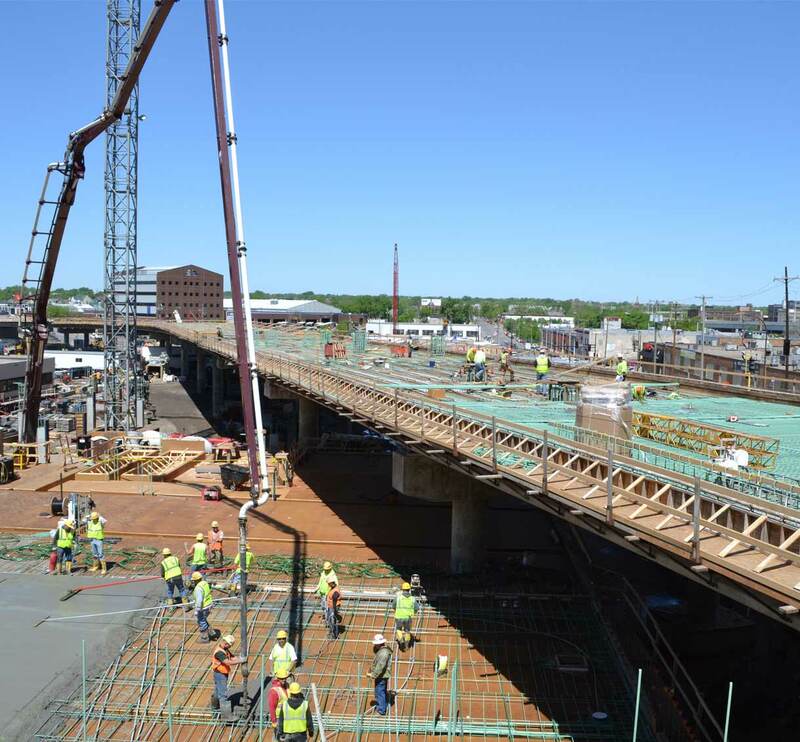 TKDA provided design for the 1,200-foot bridge which supports a 300-foot light rail transit station and 2,000 SF station canopy at mid-structure.